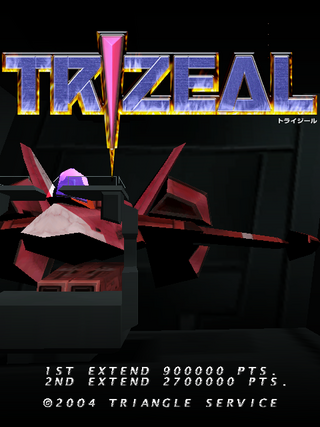 Trizeal (トライジール) is a 2004 arcade shoot-'em-up for the Sega NAOMI GD-ROM platform by Triangle Service. They ported it to the Sega Dreamcast and PlayStation 2, with the latter port being called Shooting Love. ~TRIZEAL~ (シューティング ラブ。 ～TRIZEAL～).